Why choose one color if you can use them all? 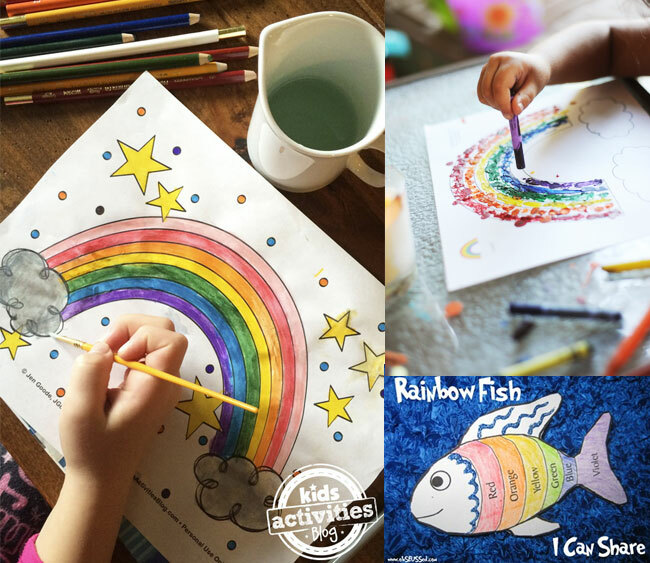 Color with the entire rainbow today’s list of 18 Printable Rainbow Crafts and Activities. Whether you are looking for something to do on a rainy day, a new spring craft or a fun project to add to your St. Patrick’s Day festivities, these rainbow projects are sure to add some happy to your day. 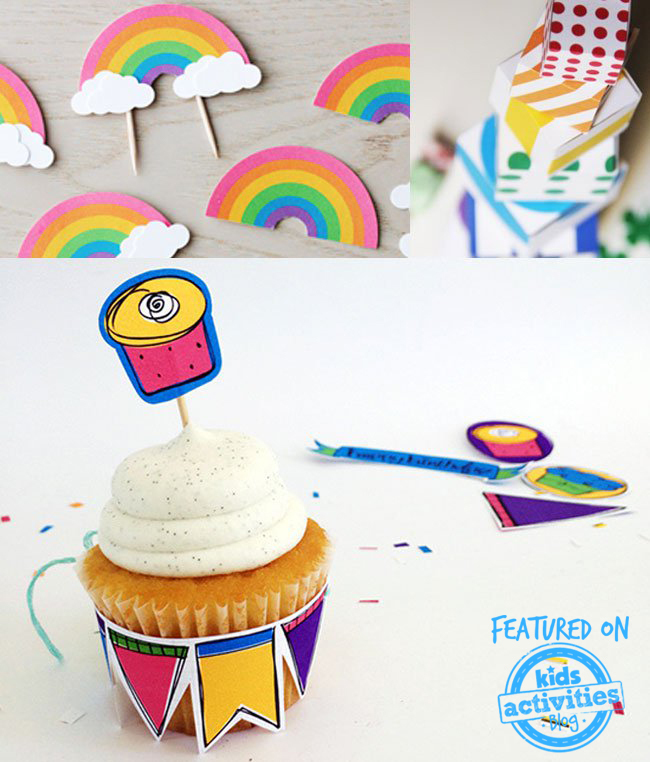 We also think you’ll love these 21 Rainbow Crafts and Activities to Brighten Your Day. Check them out! 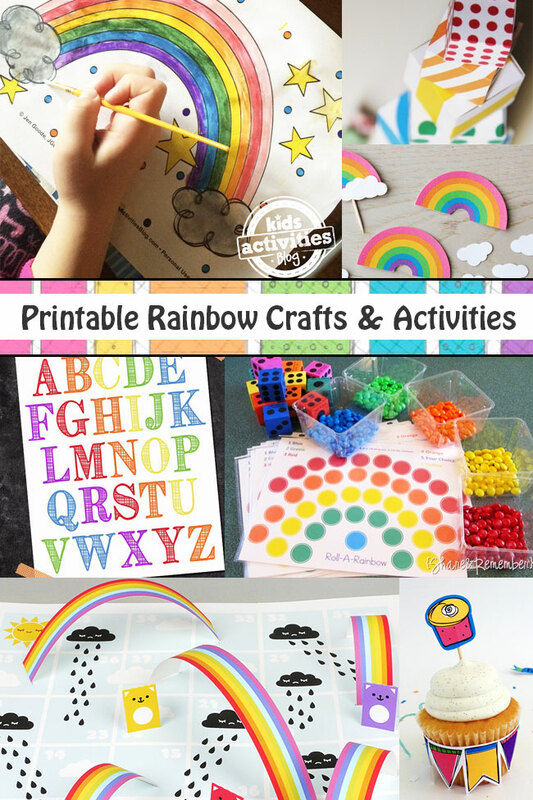 I’ve gathered a fun collection of Rainbow projects to choose from. 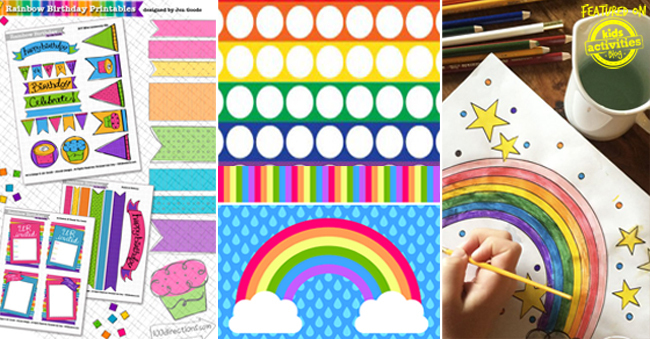 You can color, cut, play and learn with all kinds of printable rainbow pages. Play a game, practice spelling, decorate for a rainbow party or color a rainbow for every room. No matter what activity you choose, I’m sure there will be beautiful colors all around! Printable Rainbow Pinwheel from Craft Jr. I hope you have fun with your rainbows today. 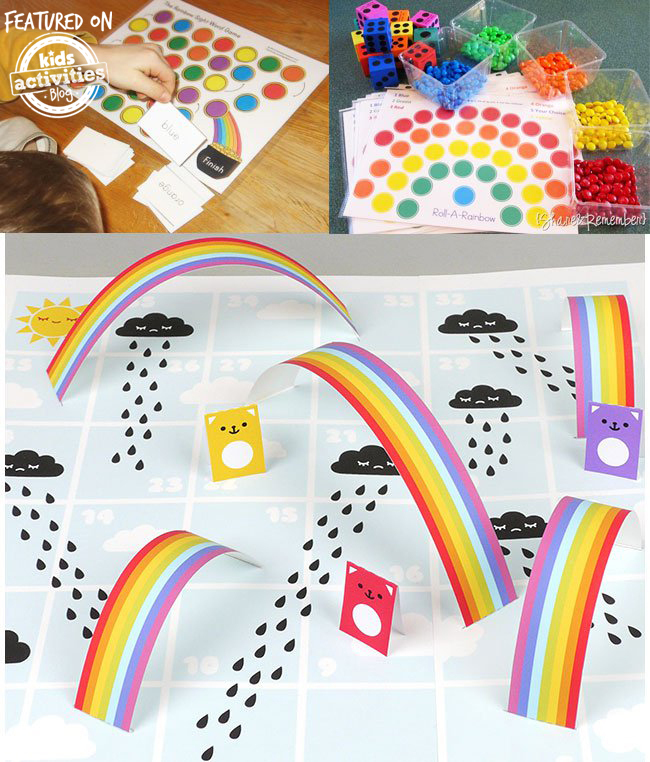 These printable rainbow crafts and activities will provided hours of creative play for you and your kiddos. Next time we’ll talk about your favorite color, but today’s let’s color the whole rainbow! Be sure to like our Facebook page for more kids activities and free printables!